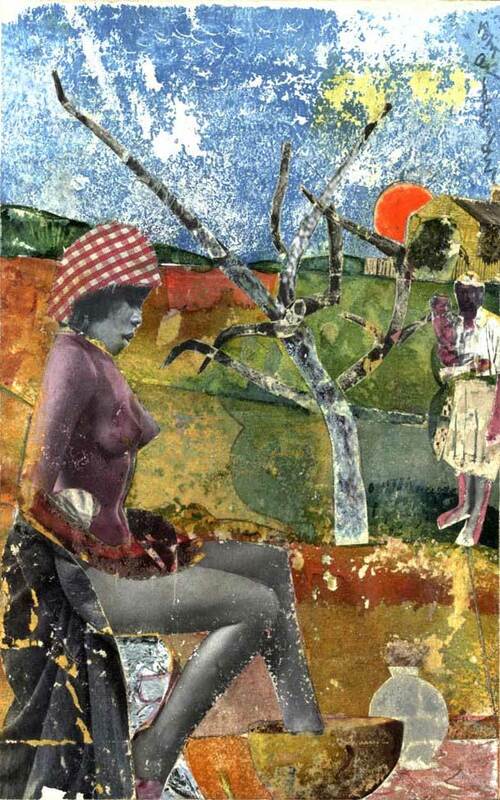 Romare Bearden was an artist whose personal style went against the “mainstream” of art in the post World War II era. Overtime, Bearden’s style did not change as other artists’ did. He remained consistent in his abstract and expressive approach. This is evident in all of his paintings and even more so in his collages. Being an abstract expressionist, Bearden’s individual style developed over time. At first he drew cartoons for magazines, then he began to paint and finally he started making collages. All of his art was influenced by locations, people, and culture. His many travels along the east coast of the United States influenced his art work, along with his loyalty to his heritage. The culture of African American life was a large focus for him. He shed much light on the oppression of African American people from the time of the Great Depression, through the Civil Rights Movement and onto their advancements toward equality. He also concentrated on his heritage, depicting slaves and their migration to the north. In addition to this, another common theme of his art was jazz music. This greatly advanced his individual style. His art relayed one common theme but his style was advanced by his personal interpretation of jazz music. Bearden constructed collages in the same way jazz musicians created a song — with many staccato notes played by multiple instruments. In the same sense, Bearden cut and pasted many small excerpts of paintings and photographs to create a larger work of art. He also added paint to his collages making many pieces a hybrid of two art forms; half of the piece was painted and the other half was cut and pasted. Such creativity earned him the title of an abstract expressionist artist. While abstract elements were painted, the collage portions were realistic images taken from photographs. The reason Bearden used this technique was because he felt that art portraying the lives of African American’s did not give full value to the individual. This is why he used collages. In doing so he was able to combine abstract art with real images so that people of different cultures could grasp the subject matter of the African American culture: The people. This is why his theme always exemplified people of color. Through the work of Romare Bearden, many lives were affected and individuals were better positioned to understand the struggles that African Americans faced throughout the 20th century. The heritage of African American’s influenced an entire movement that advanced human equality. Their struggle produced freedom. 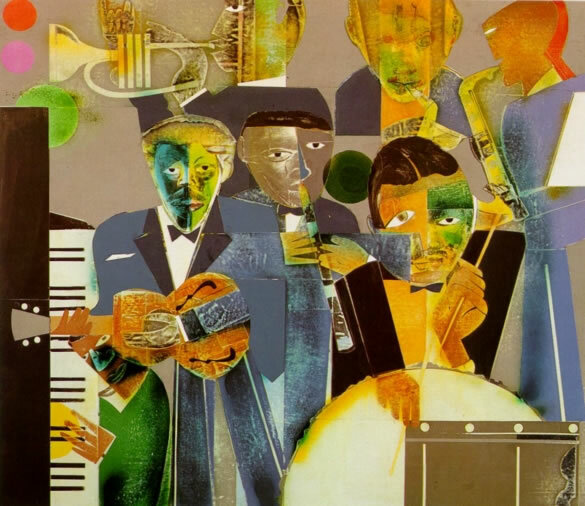 In effect, the outside the box thinking of Romare Bearden created his unique style. A freedom all of its own.